TREXLERTOWN, Pa. – On Friday morning, the Valley Preferred Cycling Center released its promotional schedule for the World Series of Bicycling in the month of June, headlined by appearances from multiple local radio hosts and the chance to win a new Weber Grill, courtesy of Bell Ace Hardware. With the World Series of Bicycling schedule featuring back-to-back nights, June 9 and 10, to start the 2017 campaign, the VPCC will feature an Opening Weekend Ticket Package where fans can purchase admission to both nights, and receive a VeloMug, for one price. More details to be released next week. Fans on June 10 will be treated with the sounds from the popular Schools Out Band, who is returning to T-Town after a great performance in the plaza a year ago. 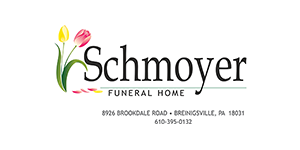 Then following the Olympic, UCI racing, fans will be wowed by the Fireworks Extravaganza, presented by the Schmoyer Funeral Home, the Trexler Funeral Home, and the J.S. 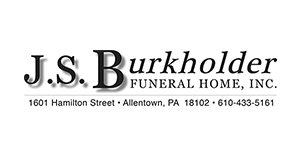 Burkholder Funeral Home. June 16 is the return of the Wing Fling and the wing eating contest where the victor receives a new Weber Grill courtesy of Bell Ace Hardware in Trexlertown. The event will be hosted by 99.9 The Hawk personality, Kara Curry. Additionally, there will be wing specials for fans at the A-Treat Breakaway Café, fueled by Maison Blanc. Following the first of three Dog Days of Summer this season on June 23, the month of June concludes with USA Night. Hometown Heroes will be honored during opening ceremonies by Becca, from the Cat Country 96 Morning Show. Additionally, all veterans as well as active military and first responders will receive free admission. Single tickets for the June events are set to go on sale early next week.